WASHINGTON – October 2, 2014 – (RealEstateRama) — For the past 15 years, the Good Neighbor Awards program has honored Realtors® who volunteer their time and energy to help strengthen their communities and better the lives of their neighbors. The five individuals recognized as this year’s REALTOR® Magazine Good Neighbor Awards winners exemplify Realtors®’ commitment to serving their communities and helping the underprivileged. The 2014 Good Neighbor Award winners are Tricia Carlisle-Northcutt, Beach Properties of Florida, Santa Rosa Beach, Fla., for Children’s Volunteer Health Network; Jane B. Locke, Century 21 Properties Plus, LLC, Mt. Pleasant, S.C., for Carolina Children’s Charity; Edward P. Pompeian, Realty Growth Inc., Rochester, Minn., for Gift of Life Inc.; Rosemary Tran Lauer, Long and Foster, Vienna, Va., for Devotion to Children; and Paul Wilson, RE/MAX Unlimited, Ponte Vedra Beach, Fla., for Wolfson Children’s Hospital. The Good Neighbor Awards have been granted annually since 2000 and are presented by NAR’s REALTOR® Magazine. This year marks a special milestone: as a result of the Good Neighbor Awards and its related programs, more than $1 million in grants have been awarded to the winning charities. The 2014 winners will receive a $10,000 grant for their charity and will be profiled in the November/December issue of REALTOR® Magazine. The recipients will be presented with crystal trophies on Saturday, Nov. 8, during the 2014 REALTORS® Conference & Expo in New Orleans. Tricia Carlisle-Northcutt founded the Children’s Volunteer Health Network, which provides free medical, dental, vision and mental-health care to children in need. She has recruited a network of more than 90 volunteer health providers and in 2012 she opened a stand-alone dental clinic with full-time staff. Since it launched in 2005, CVHN has treated more than 7,000 children and provided 50,000 free procedures that would have cost $3.7 million. Since she was a founding member 27 years ago, Jane Locke has been president and held every other position on the board of Carolina Children’s Charity, an organization that helps families pay for medical costs arising from children’s birth defects and childhood diseases. Locke runs the charity’s annual telethon and attends every fundraiser. CCC has awarded grants totaling $3.7 million to thousands of children, ranging from a few dollars for a medical alert bracelet to the thousands needed annually to cover medication and supplies for uninsured children. Edward Pompeian founded Gift of Life Transplant House in 1984 to give organ transplant patients an affordable place to live while awaiting an organ donation or receiving post-operative treatment at the Mayo Clinic. Pompeian became aware of the need for affordable temporary housing after having a kidney transplant in 1973. He started by letting patients stay in his home and then began purchasing homes and apartment buildings. The facility now has 87 rooms and logs more than 50,000 guest nights per year. Ed Pompeian was also the winner of the Web Choice Award, which means he got the most online votes out of the 10 Good Neighbor finalists. He will receive an additional $1,000 for Gift of Life. Rosemary Tran Lauer founded Devotion to Children in 1994 to fund childcare so low-income parents can work or continue their education to break the cycle of poverty. She knows firsthand the challenges of being a single parent, having fled Vietnam in 1975 and come to the U.S. with two young children. DTC, which has helped 3,000 children since 2006, also funds preschool and other educational opportunities. Paul Wilson is the founder and event chair of the Wolfson Children’s Challenge, an annual fundraising event that supports Wolfson Children’s Hospital, the region’s only medical facility for children. The event includes a 55-mile ultramarathon and relay events and has raised $2.4 million in five years. These funds have helped Wolfson purchase state-of-the-art MRI equipment with groundbreaking technology that can help with early diagnoses and prevent some surgeries. In addition to the winners, five Realtors® have been recognized as Good Neighbor Awards honorable mentions and will each receive $2,500 grants. They are Jill Dover from Sherwood Realty, Grand Rapids, Mich., for Senior Sing-A-Long; Gail Doxie from RE/MAX Realty Group, Fort Myers, Fla., for Miles of Smiles Foundation; Robert J. Fitzsimmons from Gateway Arms Realty Corp., Staten Island, N.Y., for Seamen’s Society for Children and Families; Dorothy Gokey from Gokey Real Estate, Clinton, N.Y., for The Business Training Institute Inc.; and Beth Smoot, Fonville Morisey, Raleigh, N.C., for The Green Chair Project. The primary sponsors for REALTOR® Magazine’s Good Neighbor Awards are Liberty Mutual Insurance and realtor.com®. Nominees were judged on their personal contribution of time as well as financial and material contributions to benefit their cause. To be eligible, nominees must be NAR members in good standing. More information about the Good Neighbor Awards winners is available at www.realtor.org/gna. Liberty Mutual Insurance (www.libertymutual.com/nar/) is one of the world’s leading and most trusted insurance carriers. For more than 100 years, their mission has been to provide comprehensive, quality insurance products that help their customers live safer, more secure lives. Liberty Mutual has worked hard to develop personal insurance programs that provide long-term benefits to their customers, and constantly strives to improve their products and services. Equally important, is their legacy of working for the public good through philanthropy, safety research, and educational outreach. For that reason, Liberty Mutual is proud to be the 2013 and 2014 primary sponsor of REALTOR® Magazine’s Good Neighbor Awards, expanding their partnership with the National Association of Realtors®. For more than a decade, as part of the REALTOR Benefits® Program, Liberty Mutual has been NAR’s exclusive partner for auto, home and renters insurance. Through this program NAR members are eligible to receive special savings and insurance benefits. Realtor.com® delivers consumer real estate’s largest and most accurate database of homes for sale and rent available anywhere. The home and rental listings on realtor.com® and realtor.com® mobile apps are pulled directly from over 800 local MLSs, with most listings updated every 15 minutes. Plus, realtor.com® has a huge database of new home listings, rental properties and property values for millions of homes nationwide, so users can find out about new listings, new homes, price reductions and great deals first. 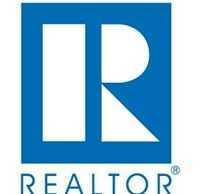 Realtor.com® is also the only national site that offers a complete database of over 1 million Realtors®. Whether you’re buying, selling, renting or researching, realtor.com® has the latest and most accurate information available to help you make an informed decision. Realtor.com® is where home happens. National Association of Realtors®, “The Voice for Real Estate,” is America’s largest trade association, representing 1 million members involved in all aspects of the residential and commercial real estate industries.